Please contact these clients directly if you want to know more about their businesses and please let us know if you would like your own profile included in a future Newsletter. Aldus Translations Solutions is a high-profile certified, multilingual, translation provider with over 20 years of experience in Canada and USA. We are one of the most trusted agencies in the industry. We do technical, legal, marketing, health-related, and general texts. We stand out for our high quality, our exclusive creative copyright writing, and our fast and courteous service. 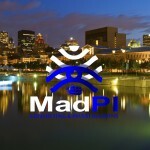 MadPI Consulting & Investigations, is a Montreal-based, customer driven all-inclusive consulting and investigative firm. We are the best investigators and consultants in the industry. We have related university education, years of outstanding law-enforcement, intelligence services, and private investigation experience. We pride ourselves on delivering outstanding results while remaining within the guidelines of ethical and legal principles. Truthful and factual evidence, provided in a cost-effective, transparent, and timely manner, is what distinguishes our solutions from the competition. Our Services include: Corporate, Financial, Insurance Investigations; Criminal Defence; Infidelity; Surveillance; Countermeasures, Forensic, Polygraph Services; Background Checks. Visit our website madpiinvestigations.com for more information and follow us on Twitter and Facebook. Guiding and educating youth is my passion. The challenages that teenagers face in the 21st century, both academic and personal demand our attention. Children need a school environment where they feel at home, can express their concerns, receive guidance and support while contemplating their future path. This is a goal for today's educators. It is a vocation which we, at College Prep International try to establish AND refer to our educational establishment as a "home away from home". Would you like to thrive in the most challenging and complex situations? Would you like to better manage your time and yourself? If so, Sylvie, a Master Integral Coach™ and PCC (from the International Coach Federation), can help you maximize your potential. Sylvie can help you become accountable and really take “Action,” and begin to run your life the way you’ve always dreamed of. So, contact Sylvie Labelle to: - Get the answers you need - Reach your goals faster - Achieve the results you want now, and achieve even better results in the future. Leon Sergent is a sought after international consultant and facilitator. As a senior associate of CORE Consulting Inc., his specific areas of expertise are leadership, coaching, communication, professional selling and presentation skills. Fluently bilingual, Leon is passionate about building the capability of leaders responsible for creating sustained organizational change. With more than 25 years of business and facilitation experience, Leon leverages his extensive knowledge of leadership and his sense of humour to create dynamic, inspirational learning environments that have lasting impact. Leon has worked with numerous organizations in Canada, the United States and North Africa including engineering, technology, financial services, health and pharmaceutical organizations. Avez un autre arrêt de travail à l’horizon chez Postes Canada, nous voulons vous rappeler que CORE peut vous aider à minimiser tout dérangement aux activités de votre entreprise en vous offrant les services FedEx et UPS pour la livraison de vos enveloppes et colis. Et si vous êtes en attente d’un paiement, document ou colis important, nous pouvons prendre les dispositions pour la cueillette n’importe où au monde. N’oubliez pas aussi qu’une case postale virtuelle CORE est un moyen sécuritaire et rentable de gérer votre courrier. Appelez-nous ou cliquez pour nous signaler ce que nous pouvons faire pour contribuer à la réussite de votre entreprise. For individuals who have lost or are about to lose their at-home delivery services from Canada Post, CORE offers a convenient and affordable alternative. You can rent a mailbox at CORE (you can use multiple names for that mailbox) and arrange for regular delivery to your home. Cost of this service depends on the volume of mail and the frequency of required delivery. A terrific solution for the disabled or seniors or for anyone who wants to continue receiving their mail at home. Another reason why people rent a mailbox is to protect their privacy (especially relevant for women operating a home-based business). With a CORE mailbox, you get a proper mailing address that you can use for selected contacts and transactions. No more having to go the post office to collect your packages or waiting at home all day for the FedEx or UPS driver, because CORE accepts all mail and courier deliveries. We’ll even pay collect charges on your behalf. And we’ll hold those packages for you until it’s convenient for you to collect them. CORE mailboxes are inexpensive. For a 6 month rental, the fee is $55 or about $10.50 per month (taxes included). For a one-year rental, the fee is $100 or approximately $9.50 per month (taxes included). A CORE mailbox is great for people who don’t plan on staying at the same location for an extended period of time. If you’ve ever relocated, you know the pain of changing your mailing address for bills, bank statements, and magazine subscriptions, updating personal information with the government, and emailing friends your new address. It’s very easy to miss updating an important service. A CORE mailbox reduces this problem by eliminating the need to change your mailing address every time you move. Additionally, the fact that mailboxes at CORE have suite numbers rather than P.O. box numbers means a more professional address for your business. For those people who are out-of-town for extended periods of time, a CORE mailbox means we can manage your mail (discarding the junk mail, scanning and e-mailing you important letters, forwarding mail as desired). A great idea for Snowbirds or people living outside Canada who want to retain a Canadian address. You can click here to start the process of getting your own box in as little as 24 hours!